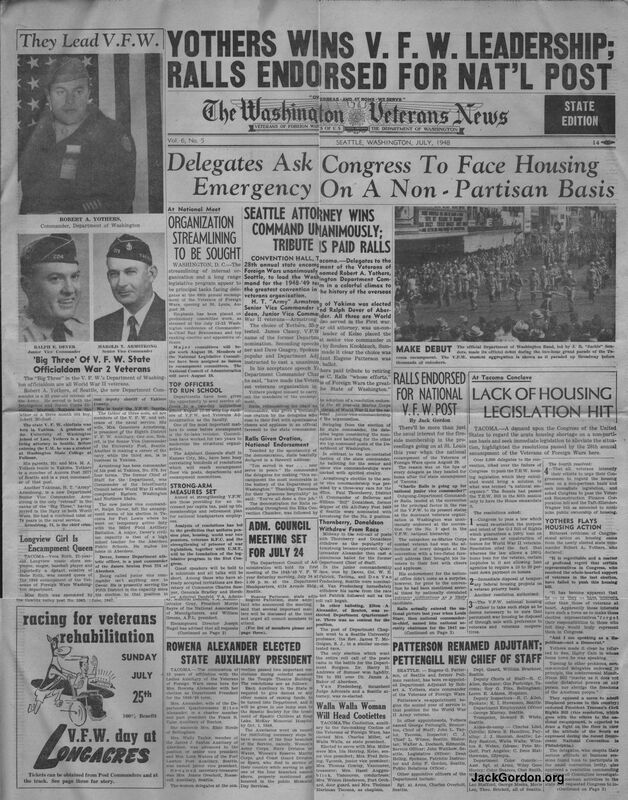 ﻿ The Washington (State) Veterans News of July 1948 Says Charles Ralls Endorsed for Nat'l Post. The The News's Staff Box lists Jack Gordon as "Editor-In-Chief." He was apparently the only paid employee of the Washington Department. Two years later he was promoted to the D.C. offices.